AVH is a disabled minibus hire company that offers small minibuses that can accommodate just four passengers. This kind of minibus can accommodate a total of four people including one driver and a passenger in either a manual or small electric wheelchair. These minibuses can also be rented out with either manual or automatic transmission and for a rental cost of just 375 GBP for the weekend and 490 GBP for weekly hire. AVH is also a disabled minibus hire company that also rents out medium sized Peugeot Expert and the Fiat Scudo minibuses which are ideal for transporting larger wheelchairs as well as awkwardly shaped wheelchairs. Both the Peugeot Expert and Fiat Scudo minibuses are large enough to accommodate up to 5 persons in total and are ideally suited for holiday travel. The cost of hiring such a vehicle is 425 GBP per weekend and 550 GBP per week. AVH also provides a larger sized minibus that can accommodate an extra large wheelchair. The Renault Traffic and Renault Master as well as VW Transporter are the best examples of minibuses that can accommodate disabled people in extra large wheelchairs. 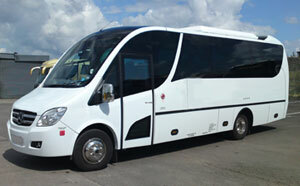 These minibuses can be hired for 500 GBP per weekend and 600 GBP per week. Wheelchair Travel UK (Access Minibuses) is another option for those who need to deal with a reliable disabled minibus hire company. This company provides unique and very comprehensive services to help transport people that are confined to a wheelchair. Wheelchair Travel UK (Access Minibuses) provides the perfect disabled minibus hire solution for people from both within the UK and also from overseas. This is a disabled minibus hire company that was established in the year 1981 and is recognised for being a leader in its field. It operates from Guildford in Surrey and its offices are located a mere twenty-eight miles from London and 20 miles from Heathrow airport. Wheelchair Travel UK (Access Minibuses) has a history of serving customers from different parts of the world and also undertakes local government work and serves prestigious clients such as British Airways, Virgin Atlantic, Princess Cruises, and Cunard as well as Royal Caribbean. Momentum Coach Hire supplies disabled minibus hire services in three different categories: door to door, self drive and coach and minibus hire. This is a company that can offer all three kinds. For more information, you can call the company on the phone by dialling 0800 0567848 or you can send them an email. Momentum Coach Hire is also a company that has earned a solid reputation for providing top quality disabled minibus hire services in the UK and at prices that are very affordable.